Allen-Bradley 1764-24BWA is a part of the MicroLogix 1500 Programmable Controller Base Unit series. Together with a Bulletin 1764 processor, it completes a controller and is a component in the assembly of MicroLogix 1500 Systems. 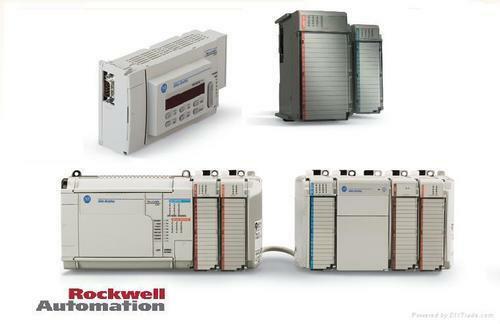 The 1764-24BWA is an independently replaceable unit that allows the embedded I/O options to be maximized while the inventory stocking costs are minimized. It contains the power supply, channel-0 communications port, and embedded inputs and outputs. Founded in the year 2008, in Patparganj (Delhi), PD Hi-Tech Controls, is the remarkable service provider of premium quality HMI Repairing, Repair Center, AC Drive Repairing, DC Drive Repairing, PLC Repairing, Soft Starter Repair, PLC Repair, HMI Repair, AC Drive Repair, PLC and AC Drive Repair, PLC and CNC Repair and Electric PLC Repair. This service is offered by us to patron at most reasonable after taking into consideration their economical and we make sure that we provide the most trustworthy services to patrons. Under the above mentioned categories we offer these services Allen Bradley HMI and Power Monitor Repair, Allen Bradley Micrologix Repair, Allen Bradley AC Drive Repair, Allen Bradley DC Drive Repair, Allen Bradley PLC Repair, Allen Bradley Soft Starter Repair, Mitsubishi PLC Repair, Mitsubishi AC Drive Repair and Siemens PLC and AC Drive Repair. The offered services are extensively admired for their timely execution, reliability and effectiveness. In addition to this, the services we offer are provided using hi-tech technology and examined for their quality in various limitations. Patron gratification is the main motto of our enterprise and we endeavor hard to gratify the detailed necessities of the patrons. By providing most appropriate services to patrons, we are able to preserve an honorable relationship with them. Our personnel are master in their field and have huge knowledge of industry. Plot No. 481, 1st Floor, F. I. E.